Molecular diagnostics company Curetis announced it has spun out a new subsidiary, Ares Genetics, which will focus on developing methods to determine the genetic underpinnings of anitbiotic resistance in order to develop testing methods to rapidly detect antibiotic resistance in patients with microbial infections. The new company will build upon and leverage the GEAR (genetic antibiotic resistance and susceptibility database) asssets Curetis acquired last September from Siemens. The GEAR genomic database contains the entire DNA sequences and sensitivity data for 21 antibiotics, more than 10,000 Gram-negative organisms and 1,000 Gram-positive Staphylococcus aureus strains, responsible for pneumonia, bloodstream infections, urinary tract, gastric, and wound infections. The bacterial strains have been isolated from patient samples collected at over 200 sites, across five continents, during the last 30 years. The GEAR platform was developed by Siemens in collaboration with the Institute of Clinical Molecular Biology (IKMB) at Kiel University, and the Clinical Bioinformatics Group of Saarland University. The Saarland Univeristy group’s head, professor Andreas Keller, Ph.D., will work with Curetis as an academic partner. Ares is situated near to the Vienna Biocenter in Vienna, Austria. Molecular diagnostics firm Curetis was founded in 2007 to develop rapid diagnostics for severe infectious diseases. 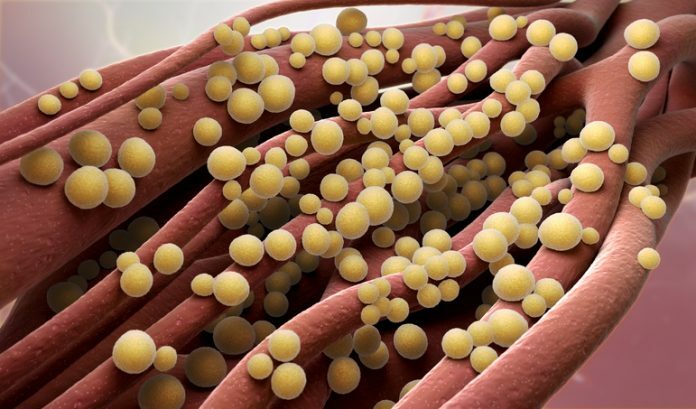 The Germany-based company’s flagship Unyvero platform and cartridge-based assays are designed to provide rapid diagnosis of severe infections, and identification of antibiotic resistance markers in hospitalized patients, within hours. In January, the firm submitted its 510(k) application to the FDA for approval of its Unyero platform and Unyvery LRT lower respiratory tract cartridge. At the time, the firm said it was on track to launch the Unyvero system in the U.S., during 2017, and was also preparing to start an additional FDA-relevant study with its Unyvero ITI application cartridge for diagnosing joint infectious, including periprosthetic joint infectious.